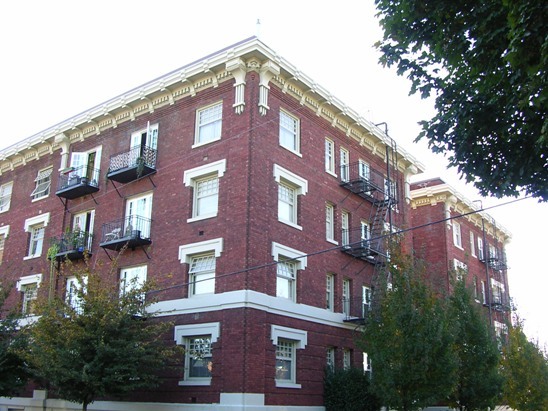 Rex Arms Apartments are situated in inner SE Portland. 62 total studio and one bedroom apartments. This is a classic building with timeless beauty in the much sought after Buckman neighborhood. The Rex Arms’ central location puts it close to amenities including cafes, pubs, bike repair, and yoga. Breathe easy. Smoking is not allowed in any REACH property. Bike access via the Salmon St. bikeway. Rated “very walkable” with a Walk Score of 86.